High atop Beech Mountain, the *4 Seasons at Beech Mountain* lodge awaits you. Situated amidst the splendor of North Carolina's magnificent mountains, 4 Seasons offers you a mile-high world of unspoiled beauty and quiet contentment. 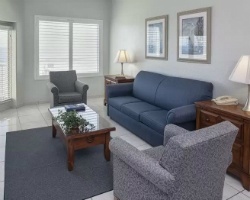 You'll find the service friendly and efficient, units comfortable, cozy, and convenient, and the resort's proximity to beautiful scenery and great attractions a real plus! 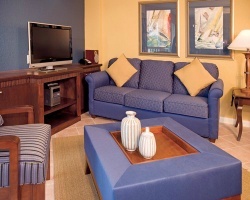 Come to Atlantic Beach and enjoy a family vacation that you will fondly remember at *A Place At The Beach III*! A 150 foot water-slide spills into the resort's oceanfront outdoor pool and promises an exhilarating ride. Swim year round in the heated indoor swimming pool, and take advantage of the relaxing whirlpool at the end of a long day in the sun. And for those who enjoy outdoor whirlpools, one of those is available for you as well. The lighted tennis courts extend your playing hours, and outdoor charcoal grills make family cookouts a breeze. 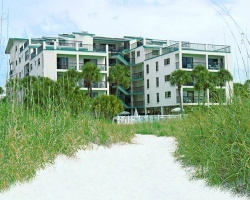 *A Place at the Beach* offers comfortable 1, 2, or 3 bedroom furnished condominiums with fully equipped kitchens. *Acuarium Suite Resort* is located in charming, sunny Santo Domingo, in a land close to all the best vacation amenities: the Caribbean coast, Spain Avenue, Freeway the Americas, national parks, and so much more! 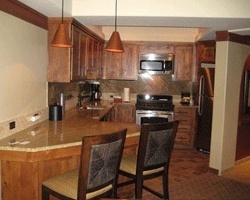 The resort offers a pool, spa, whirlpool/hot tub, and a wonderful restaurant. 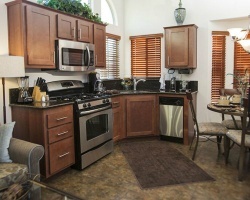 Guests will love the kitchens in their units! 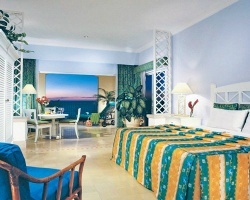 For the greatest of beach vacations, look no further than Acuarium Suite Resort! Affiliated with RCI. For more information, visit www.acuariumsuitresort.com. *AlSol Luxury Village* resort located in Cap Cana's Marina has been carefully designed to provide guest with world-class attention and service. You will feel this from the moment you receive your personalized check in, butler at your service in guests areas, suites and pools and concierge to help you with special activity and golf programs. This resort has 3 pools, 5 bars and 5 restaurants and provides an array of culinary selections and concepts including poolside casual, Italian and Caribbean Cuisine which includes premium brand beverages. 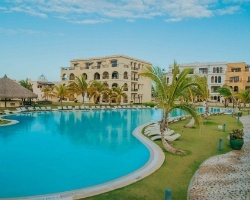 To discover more, visit www.alsolluxuryvillage.com. 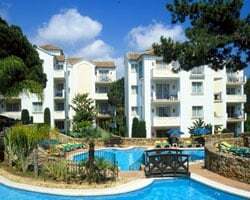 The *Alanda Club Marbella* (formerly the Four Seasons Country Club Marbella) has 186 exclusive apartments fitted to the highest standards, making them the foremost apartments in Andalucia! 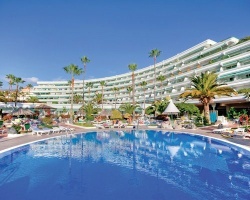 These 5-star luxury apartments in Marbella have indoor and outdoor pools, a club restaurant, multi-lingual staff and the level of service you would expect from the McInerney Group. Alanda Club Marbella is close to some of the best golf courses on Costa del Sol. 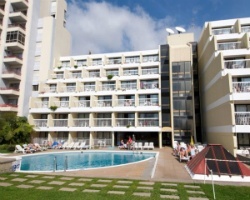 The Alanda Club Marbella apartments are within walking distance of the beach. Unforgettable days and nights await you at *Alhambra Villas*. This resort offers you the use of an Olympic-sized heated swimming pool, four lighted tennis courts, a kiddie playground, and baby pool. To top it all off, Walt Disney World, Universal Studios, SeaWorld, and other exciting Orlando area attractions are within 45 minutes of the resort. 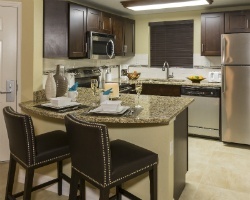 Unforgettable days and nights await you at *Alhambra at Poinciana*. 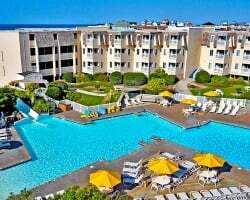 This resort offers you the use of an Olympic-sized heated swimming pool, four lighted tennis courts, a kiddie playground, and baby pool. To top it all off, Walt Disney World, Universal Studios, SeaWorld, and other exciting Orlando-area attractions are within 45 minutes of the resort. 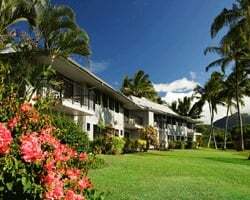 The *Alii Kai* resort is located in the north shore community of Princeville, Hawaii. Highly sought after by vacation connoisseurs, you'll love the tropical accommodations! 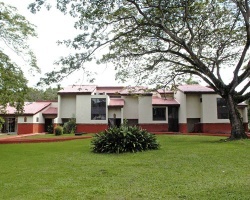 The resort is in a central location near a host of activities. 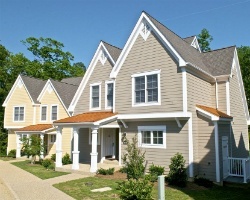 Tennis courts, a golf course, restaurants, the beach and a variety of shopping options are all nearby. Come to the inviting Island of Kauai and discover all the unsurpassed beauty that awaits! *All Ritmo Cancun Resort and Waterpark*, situated amid turquoise splendor and beautiful Spanish colonial architecture, is ideal for families or groups of friends. 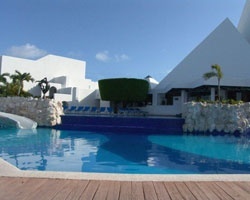 The resort is conveniently located just 10 minutes from Cancun's downtown and 15 minutes from the hotel zone. 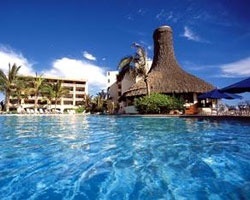 The guests can also enjoy the Maya ruins, play tennis on the resort's courts, or enjoy the resort's spa facilities. Children love the gigantic slides and cannons in the Water Park, and beach soccer and sand castle building. 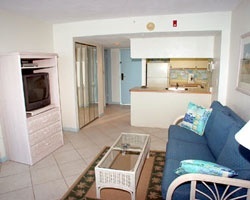 The beautiful beachfront *All Seasons Vacation Resort* in Madeira Beach, Florida, has a pool and whirlpool on-site. It is only a short drive from Tampa, and Walt Disney World is an easy day's outing. Florida's west coast beaches make the area famous, and all water sports are accessible. Tampa's Ybor City and Tarpon Springs, where Greek settlers established Florida's sponge-fishing industry, are historic sites of interest nearby. 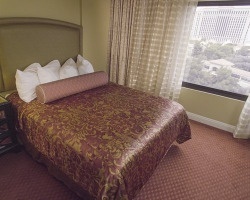 For more information, visit www.allseasonresort.net. 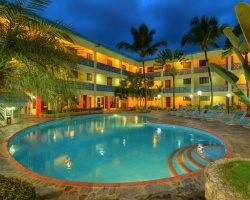 *Allegro Jack Tar Puerto Plata*, located in the acclaimed Playa Dorada complex, is a beachfront property that enjoys wonderful views of the Isabel de Torres Mountain. The resort is also located around the world-recognized Robert Trent Jones Sr. 18-hole Playa Dorada golf course. The Allegro Jack Tar Puerto Plata offers their guests high standards of accommodation, a la carte breakfast, personalized service by their Club Concierges, and the option for lunch and dinner at the Green Jack Restaurant, where their can enjoy exquisite Dominican fusion cuisine, and also international flavors plus Jack’s Kite & Grill. After dinner, enjoy the ambiance of Green Jack, especially in their Saturday live music presentations. Allegro Jack Tar Puerto Plata is the perfect place to spend time with family, met new friends or share a romantic vacation. Come, enjoy and experience the well known hospitality of this Caribbean location! 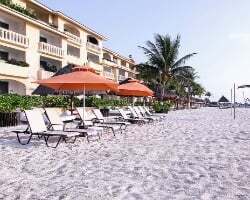 *Almar Resort Luxury LGBT Beach Front Experience* is a luxurious, oceanfront alternative lifestyle resort that caters primarily to gay and lesbian guests. While all guests are welcome here, the resort is not recommended for families and children. 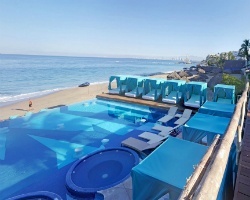 Almar Resort offers 240 feet of prime beachfront, an infinity pool, two bars, a restaurant, beach club, gym, conference center, boutique, landscaped walkways and gardens, parking, and 120 spectacular suites located in 2 towers. Luxurious throughout with clean contemporary decor that gives the nod to fine Mexican design, each has a private ocean-view balcony plus absolutely every amenity you could imagine. 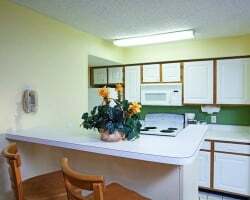 In this classic chalet-style resort, all units have televisions, telephones, and a balcony. 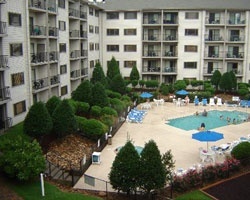 On-site are an indoor swimming pool, sauna, solarium, fitness studio, and gourmet restaurants. Nearby is the town of Zell am See with its beautiful lake, perfect for swimming and water skiing. Village festivals, zither concerts, guided rambles, and folk theater provide distinctly regional entertainment. As an owner of an *American Resorts International Holiday Network* timeshare, you may wish to use all of the American Resorts International properties such as Oyster Bay Beach Resort in St. Maartin, The Netherland Antilles, at the Maria Alm in Austria, or Trafalgar Beach Villas in the British West Indies. These beautiful resorts offer amenities such as swimming pools, whirlpools, saunas and steam room, bar/cocktail lounges, live entertainment, fine on-site dining, fishing, and beaches. 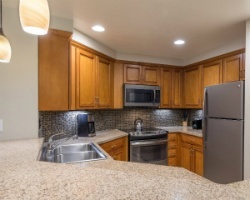 Amenities nearby include golf, fishing, scuba diving, lakes, tennis, horseback riding, cross country skiing, down-hill & cross-country skiing, casino gambling, and much more! 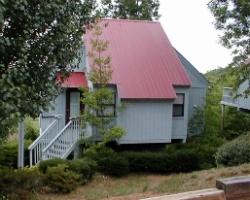 Nestled in the beautiful Blue Ridge Mountains, *Alpine Ranch* is the perfect spot for a peaceful vacation! Built on rolling hills overlooking the foothills of the Appalachian Mountains, the resort truly offers something for everyone. 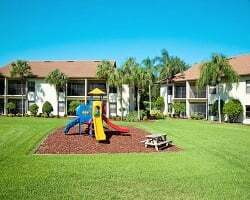 On-site amenities include a miniature golf course, water slide, indoor and outdoor swimming pools, paddle/row boats, and activities for all ages. Visit the German Alpine Village of Helen just six miles away. 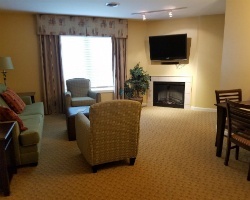 Nestled in the Blue Ridge Mountains only three miles from the Blue Ridge Parkway, *Alpine Village* resort offers tranquil, secluded surroundings with spectacular mountain views at 3,250 feet in an aura of warm hospitality. The private tennis court is always available, and the heated swimming pool is open during the summer and early fall. 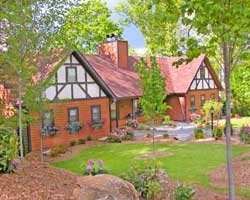 Owners and visitors enjoy the natural beauty and spectacular views of the surrounding Pisgah National Forest and Mt. Mitchell Golf Course, one of the finest courses in North Carolina, located only two miles away. Several national and state parks are nearby, offering hiking and horseback riding trails throughout the mountains. Visit the Biltmore House and Gardens, an 11,000-acre estate built by George W. Vanderbilt, Grandfather Mountain, Linville Falls, Blowing Rock, Mt. 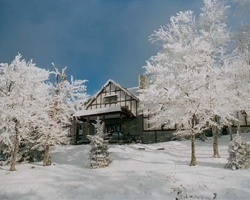 Mitchell, Chimney Rock, Boone, Banner Elk as well as many other popular destinations. 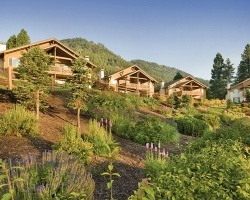 Alpine Village is the perfect mountain getaway! 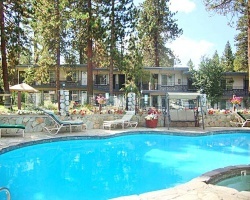 In this classic chalet-style resort, all units have televisions, telephones, and a balcony. On-site is an indoor swimming pool, sauna, solarium, fitness studio, and gourmet restaurant. Nearby is the town of Zell am See with its beautiful lake, perfect for swimming and waterskiing. Village festivals, zither concerts, guided rambles, and folk theater provide distinctly regional entertainment. Vacationers may take advantage of tours to castles, picturesque churches, and nearby ice caves. Munich, Vienna, and even Milan are all accessible by car or train. *Alpenland* is set in one of Austria's prime ski areas, 30 miles south of "The Festival City" of Salzburg. The full-service resort offers four restaurants, a nightclub, shops, an indoor swimming pool, saunas, whirlpools, a solarium, and exercise room right on-site. Surrounded by mountains and meadows, Alpenland, located in the heart of St. Johann, is a year-round holiday destination, with skiing, hiking, and climbing. Vacationers may take advantage of tours to castles, picturesque churches, and nearby ice caves. Munich, Vienna, and even Milan are all accessible by car or train. Membership in the fabulous *American Resorts International Holiday Network* includes home access to two beautiful Austrian resort locations! 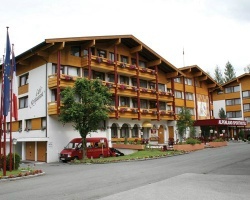 The *Alpenland Sporthotel & St. Johann Im Pongau* Alpenland is set in one of Austria's prime ski areas, 30 miles south of 'The Festival City' of Salzburg! The full-service resort offers four restaurants, a nightclub, shops, an indoor swimming pool, saunas, whirlpools, a solarium, and exercise room right on-site. Surrounded by mountains and meadows, St. Johann is a year-round holiday destination, with skiing, hiking, and climbing. Owners are also entitled to stay at the lovely *Maria Alm* resort in Maria Alm, Austria! 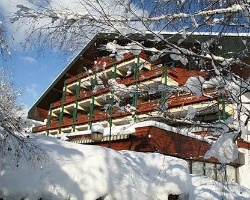 In this classic chalet-style resort, all units have televisions, telephones, and a balcony. 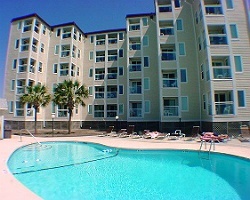 On-site are an indoor swimming pool, sauna, solarium, fitness studio, and gourmet restaurants. Nearby is the town of Zell am See with its beautiful lake, perfect for swimming and water-skiing. Village festivals, zither concerts, guided rambles, and folk theater provide distinctly regional entertainment. Enjoy fun and exciting vacations every year! 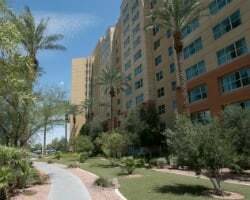 Close to shops, dinning, casinos and more! Week 47! Inquire for details! 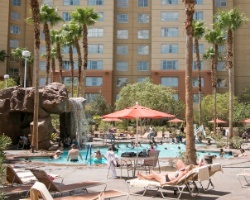 Great resort right on the strip! Enjoy being close to all the entertainment and action! Week 13 every year! Inquire for details! 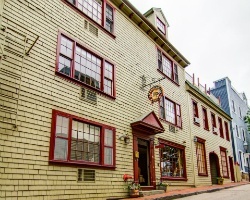 Come explore the casinos, historic attractions and more! With RCI membership, week exchanges for 49,000 RCI points! Inquire for details! Motivated Seller! Price Negotiable! Points can be used anywhere in the Vacation Internationale network! Buyer may receive a title fee credit! Luxurious resort with amenities for everyone! Week 40 on even years! Buyer may receive a title fee credit, inquire for details! 6,000 annual points! 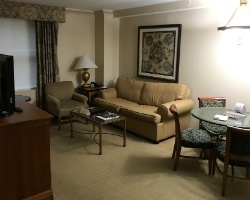 Points can be used anywhere in the WorldMark by Wyndham network! Inquire for details! 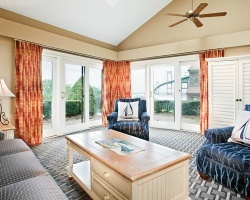 Charming Cape Cod resort! Perfect for peaceful and relaxing vacations! Floating week! Inquire for details! 9,000 annual points! Points can be used anywhere in the Bluegreen network! Buyer may receive a title fee credit, inquire for details! Scenic resort with breathtaking views! Floating, red week! Buyer may receive a title fee credit, inquire for details! 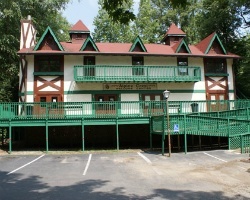 Perfect destination for families seeking fun! Floating week of your choice! Buyer may receive a title fee credit, inquire for details! Summer season week 37! Come enjoy the Newport International Boat Show! End unit! Buyer may receive a title fee credit, inquire for details! 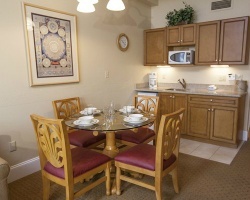 Perfect location for your Orlando area vacations! Enjoy plenty of activities onsite and nearby! Inquire for details! Enjoy the onsite marina with private yacht expeditions! Even year floating week! Buyer may receive a title fee credit, inquire for details! Buyer will have immediate usage in 2019! Maintenance paid only when used! Buyer may receive a title fee credit, inquire for details! 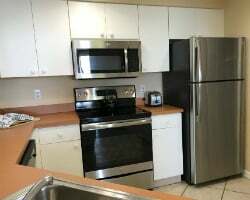 Peaceful location with easy access to Daytona Beach! Floating week! Buyer may receive a title fee credit, inquire for details! Price negotiable! Beautiful resort on Florida's fames Gold coast! Odd year week 52 usage! Buyer may receive a title fee credit! Highly Motivated Seller! With membership, week exchanges for 44,500 RCI points! Enjoy wonderful vacations in Sedona every other year! Price reduced! 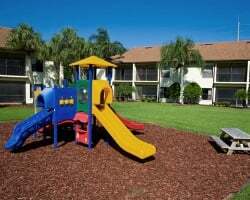 Ideal family resort just minutes away from Orlando's top attractions! Buyer may receive a title fee credit, inquire now! 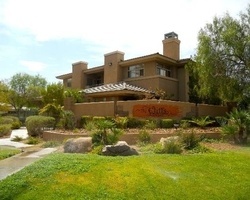 Peaceful desert oasis close to the excitement of the strip! Week 47 every year! Inquire for more details! Reasonable offers considered! 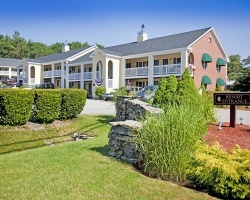 Great resort near Tanglewood! Triennial week 44 usage! Buyer may receive a title fee credit, inquire for details!